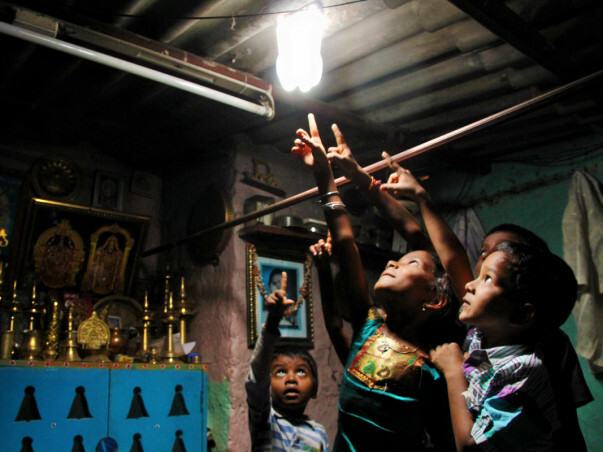 At Liter of Light Bangalore, we believe in the power of enabling people. Rather than just providing the number of lights, we go and do a detailed need assessment over months to find one out of those 10 sites, where people are limited by the absence of light and where the absence of it will propel them and their kids towards a better future. Now, we are fundraising to kickstart our projects in the identified sites - Tribal villages of Karnataka, the Nilgiris in TamilNadu, uphills in Manipur and more across AP-Orissa border. And we need your gracious support and belief yet again. Come forward, let us do our bit! Bring L.I.F.E. to the Invisibles while we shine on! Let us Light. Ignite. Facilitate.Empower. Liter of Light is a global open source movement with the aim to provide an ecologically and economically sustainable source of light to underprivileged households which either do not have access to electricity or cannot afford it. Liter of Light Bangalore is an official partner & representative of A Liter Of Light (Isang Litrong Liwanag) in India. The organization’s main area of interest lies in uplifting the lives of less fortunate households by providing them with a solar daylight and a nightlight bottle -light, an eco-friendly alternative to the conventional electricity bulb. For any queries, please click here or write to us @social.literoflightbangalore@gmail.com.